This DLT Cleaning Tape is the cleaning cartridge for the DLT260, DLT600, DLT2000, DLT2000XT, DLT4000, DLT7000 and DLT8000 drives. 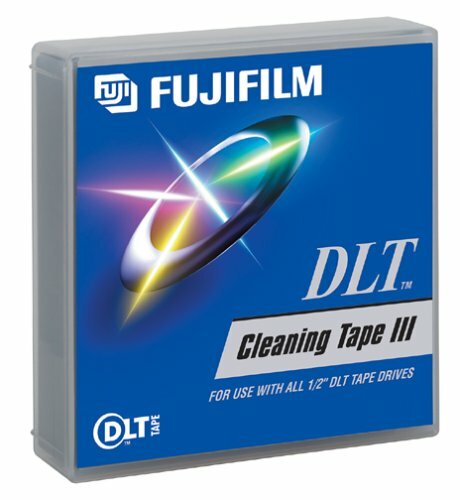 Fujifilm offers a service to check DLT Cleaning Tape cartridges to see if they are being overused. Users can submit a cleaning cartridge that has reached its twenty-use limit, along with another cleaning cartridge that indicates a count around 10 or 15 uses. Fujifilm will analyze the pair of cartridges and report our findings and recommendations to the user.